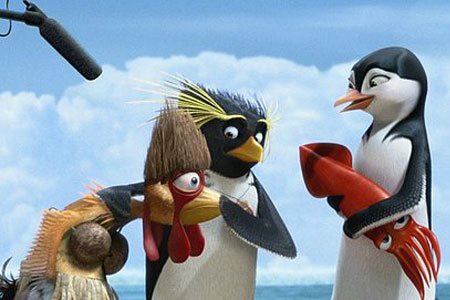 Teenage Rockhopper penguin Cody Maverick (voiced by Shia LaBeouf), an up-and-coming surfer, enters his first pro competition. 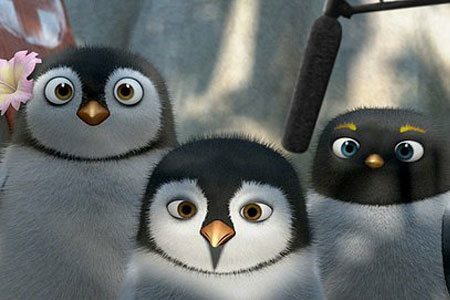 Followed by a camera crew to document his experiences, Cody leaves his family and home in Shiverpool, Antarctica to travel to Pen Gu Island for the Big Z Memorial Surf Off. 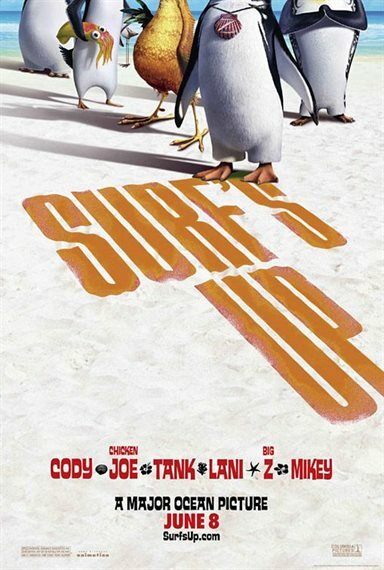 Along the way, Cody meets Sheboygan surfer Chicken Joe (Jon Heder), famous surf promoter Reggie Belafonte, surf talent scout Mikey Abromowitz, and spirited lifeguard Lani Aliikai (Zooey Deschanel), all of whom recognize Cody's passion for surfing, even if it's a bit misguided at times. 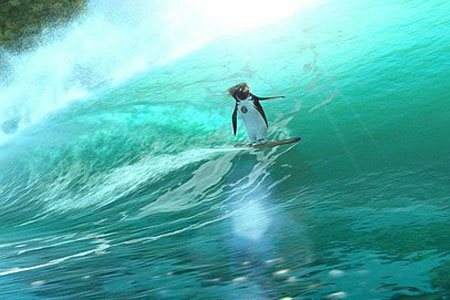 Cody believes that winning will bring him the admiration and respect he desires, but when he unexpectedly comes face-to-face with a washed-up old surfer, Cody begins to find his own way, and discovers that a true winner isn't always the one who comes in first. 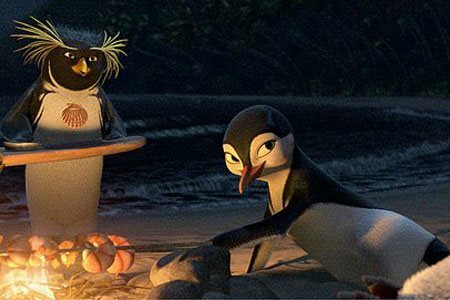 Download Surf's Up in Digital HD from the iTunes store. 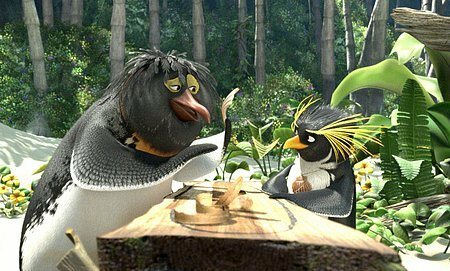 Surf's Up images are © Columbia Pictures. All Rights Reserved. Surf's Up images © Columbia Pictures. All Rights Reserved.